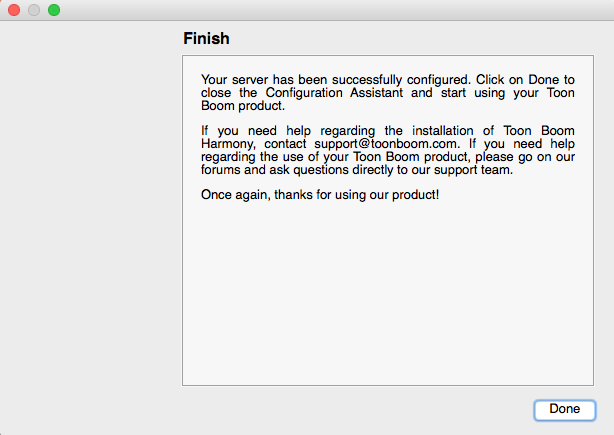 From Finder, go to Applications > Harmony 12.2.1 > Tools. 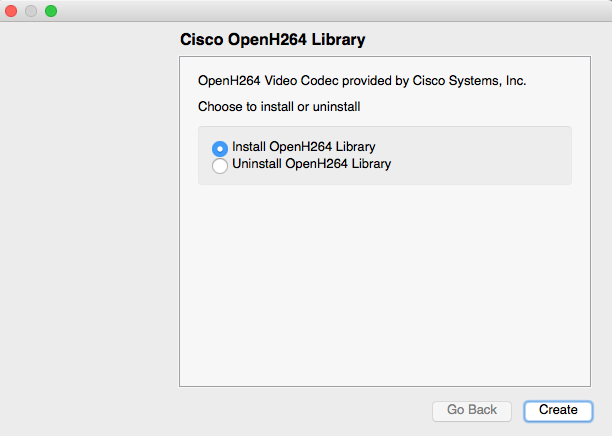 Select the Create the Startup Items and Install/Uninstall Cisco OpenH264 Library options and click Continue. The Create Startup Item screen opens. 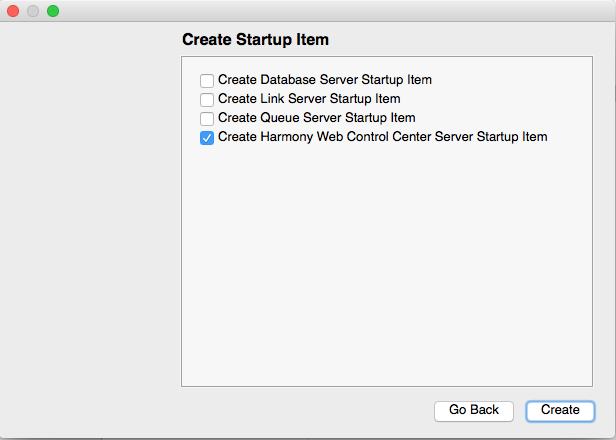 Select the Create Harmony Web Control Center Server Startup Item option and click Create. NOTE: You can use the Configuration Assistant to uninstall the OpenH264 library on Mac. If at any point you need to start or stop the HarmonyWeb Control Center server, you can do so through launchctl in Mac OS X. Stop the service if it is active—see Managing the Harmony Web Control Center Service. 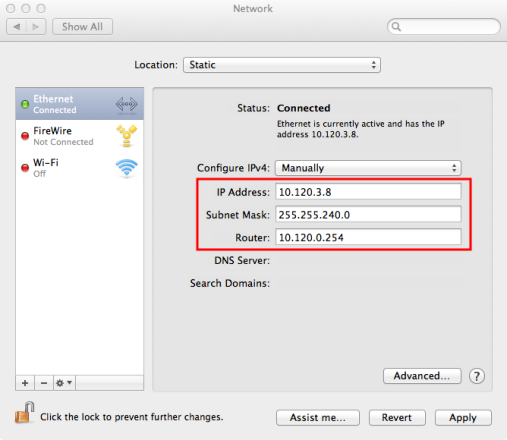 Start the service—see Configuring Harmony Web Control Center on Mac OS X. If you do not want to run Harmony Web Control Center as a service, you have the option to manually start the Harmony Web Control Center server. Open the Terminal and go to /Applications/Harmony 12.2 [edition]/tba/macosx/bin. 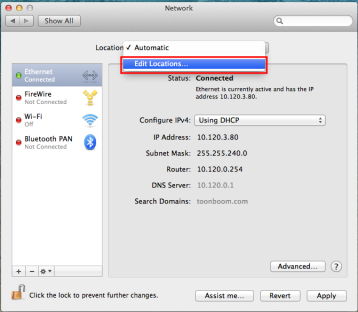 Other parameters can be customized—see Configuring Harmony Web Control Center on Mac OS X. 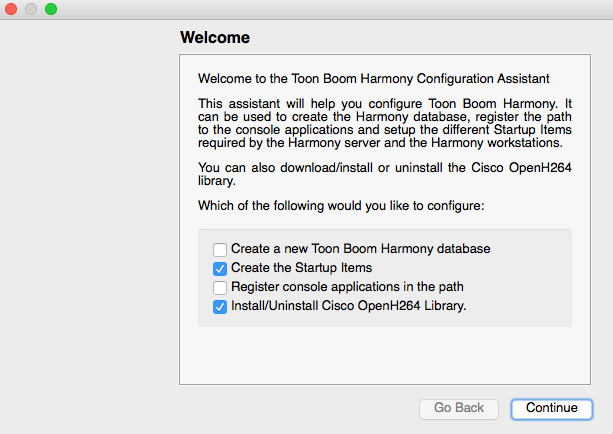 You will need to set up a static IP for accessing the Harmony Web Control Center application. 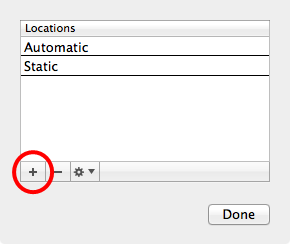 From the Location menu, select Edit Locations. Click the plus sign (+) and enter an appropriate name. Click Done. Configure your static IP with information pertaining to your connection and click Apply. 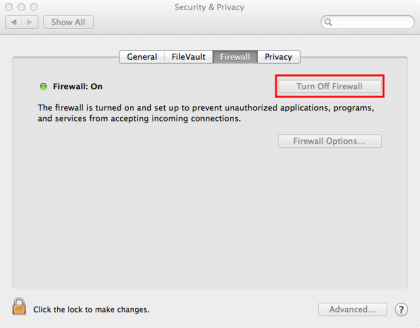 To allow other computers to access your Harmony Web Control Center server, it is necessary to open a port in your firewall. Harmony Web Control Center uses port 8080 by default. Click the lock icon at the bottom of the window to enable editing. Click the lock icon at the bottom of the screen to enable editing. For clients of the server, you can start Stage Paint from Safari by changing its preferences to run Java in unsafe mode for localhost. Safari added per-site controls for each applet. Go to the Safari > Preferences > Security page. Click Manage Website Settings for Internet plugins, then select Java. For the desired site entry (eg. localhost if running Web Control Center server locally) select the Run in Unsafe mode.